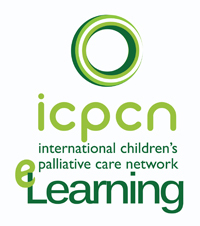 ICPCN (The International Children’s Palliative Care Network) is a collaborative partnership set up to ensure that the voices of children and young people with life-limiting or life-threatening conditions are heard, respected and acknowledged as part of the wider hospice and palliative care movement world-wide. 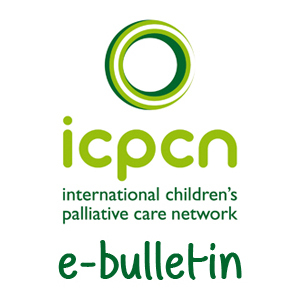 ICPCN is an international network, part of the Worldwide Palliative Care Alliance, and co-ordinated by HPCA (Hospice Palliative Care Association of South Africa). HPCA is an association incorporated under sec. 21. Reg. No. 86/01887/08. NPO No. 003-462. ICPCN is committed to protecting your privacy. Personal information covers any data that enables ICPCN to identify you as an individual such as your name, telephone number and email address. When you supply information to us, we are legally obliged by the Data Protection Act 1998 to ensure that the information you have provided is only used for the purpose for which it was requested, and to ensure that the data is kept securely. When you become an organisational member of ICPCN we will ask you to share contact information through ICPCN’s International Directory which will be accessed through the ICPCN website. However we will never pass your details onto any other third party without gaining prior consent. We may need to disclose information about you, if required to do so by law. When you contact us we may collect personal data to enable us to send you publications, membership information, newsletters etc and to keep you informed about news and issues that are relevant to ICPCN’s work. From time to time we may also use your personal data for marketing purposes to send you information about our membership, events, research, campaigns and appeals etc. If you are taking out membership, attending events and conferences or buying our publications we need to take your name, e-mail address and delivery address. This allows us to process and fulfil your orders and to notify you of your order status. We also ask for your telephone number so that we can contact you if there is a problem with your order. We may also ask you if you would like to share your organisation’s contact information for our information and networking services or website contact database. If you consent to this we will share the information both online and for our off-line information services. 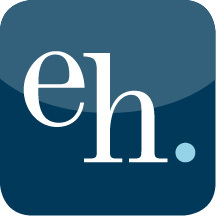 When you contact us via our website, we ask for your e-mail address. We monitor customer traffic patterns and site usage to help us develop the design and layout of our website. We may use the information we collect to notify you about important changes to the website, as well as ICPCN’s services, events, publications and campaigns. We will also collect contact information, with your consent, to share with online visitors and other ICPCN members to improve children’s palliative care networking. When you place orders for publications, conferences, membership or make a donation on-line via our website, the secure server encrypts all information sent to and from your browser using the SSL standard. Furthermore, as required by the UK Data Protection Acts of 1984 and 1998, we follow strict security procedures in the storage and disclosure of information which you have given us, to prevent unauthorised access. Our security procedures mean that we may occasionally request proof of identity before we are able to disclose sensitive information to you. ICPCN does not sell, trade or rent your personal information to others. We will never pass your details onto a third party without gaining prior consent. However we may need to disclose information about you, if required to do so by law. ‘Cookies’ are small pieces of information sent by an organisation to your computer and stored on your hard drive to allow that organisation to recognise you when you next visit. ICPCN may store information about you and your activity in cookies. To find out how to delete existing cookies or prevent future cookies being stored on your hard drive, please visit www.aboutcookies.org where you can follow clear instructions on how to delete and control cookies using various internet browsers. As an individual you may request to see any information that ICPCN holds about you. You must give written notification of the request and provide proof of identity. ICPCN will then respond within 40 days. We may amend this policy from time to time as we develop our site. If we make any substantial changes in the way we use your personal information, we will notify you by posting a prominent announcement on our pages. The ICPCN website contains links to other sites, however ICPCN is not responsible for the content or privacy policies of any linked sites. © Copyright ICPCN 2008. All rights reserved. 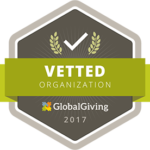 Copyright in all materials contained within this website remains with ICPCN (The International Children’s Palliative Care Network). Any unauthorized copying, publication or reproduction of the content of this website is strictly prohibited and constitutes an infringement of copyright. Every effort is made to ensure that the information contained in the ICPCN’s publications and website is accurate and up to date at the time of publishing. However, please be aware that things do change. We cannot accept responsibility for services provided by the organisations listed or for any changes which have occurred after the date of printing. ICPCN will not accept liability for any loss or damage or convenience arising as a consequence of any use of or the inability to use any information on this website. 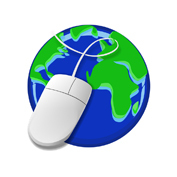 Visitors who use this website and rely on any information do so at their own risk. ICPCN does not represent or warrant that the information accessible via the website is accurate, complete or up to date. ICPCN will not be liable (to the fullest extent permitted at law) for any loss, damage or inconvenience arising as a consequence of any use of or the inability to use any information on this site. ICPCN takes no responsibility for the contents of linked websites and links should not be taken as endorsement of any kind. ICPCN has no control over the availability of the linked pages.